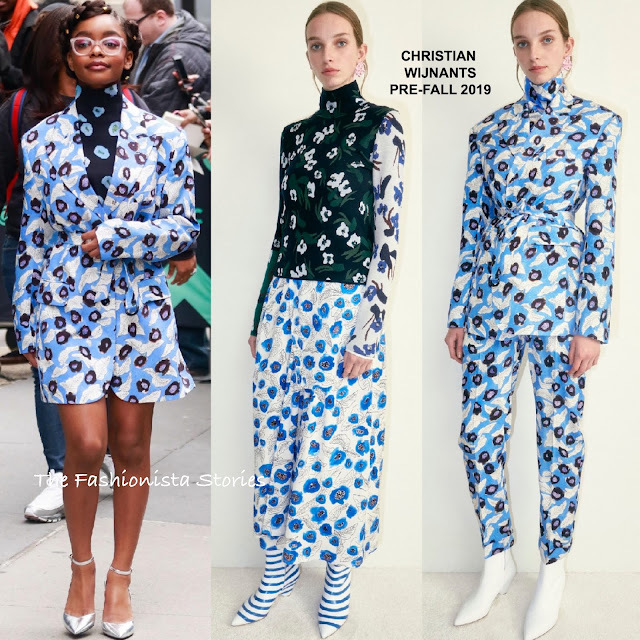 Following her GMA appearance, Marsai Martin joined Issa Rae at the Build Series in New York on yesterday(April 2nd) to discuss their new film 'Little'. 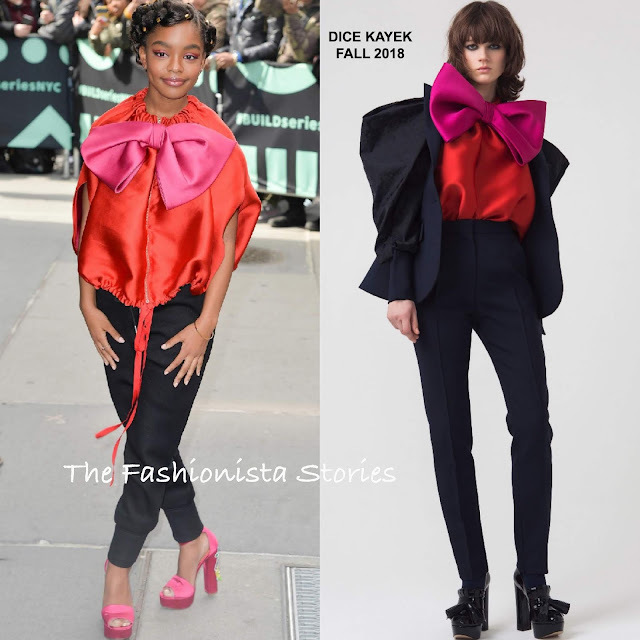 Marsai Martin arrived wearing a DICE KAYEK FALL 2018 red & pink bow detail cape inspired top and black trousers. The top is not the easiest piece to pull off but I love how she was owning the look throughout her images. I actually wish she wore the ensemble as presented in the look book. A flawless beauty look and the chicest pair of CHINESE LAUNDRY sandals rounded out her look. For her departure, she played around with prints courtesy of CHRISTIAN WIJNANTS. Her PRE-FALL 2019 printed turtleneck and belted blazer was offset with STELLA LUNA metallic ankle strap pumps. The jacket is a little too big but I love this playful printed look and she looks cute in her pink glasses.